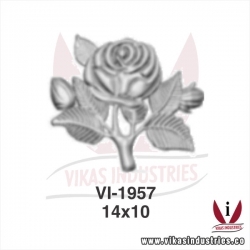 Mr. Omesh Garg with Technical background had started his company in 1975 to cater the need of Indian market in hardware goods; Later Er. 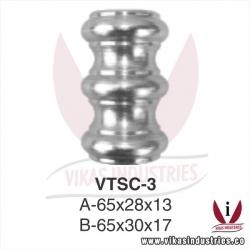 Vikas Garg S/o Mr. Omesh Garg joined the company & started exporting their products. 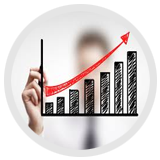 As of well technical experience for creation of international quality products, emhasis was given to small aspects even from Hi-technology to quality control, from packing to marketing. 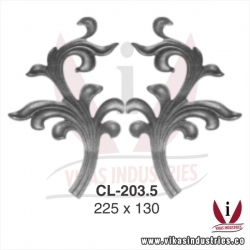 Our products are widely used in wrought iron gates manufacturing companies, wrought iron fencing manufacturers, wrought iron railing design suppliers, wrought iron stairs, wrought iron balconies, wrought iron balustrades, wrought iron furniture and many other decorative metal art works. 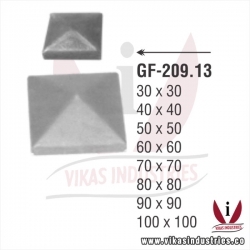 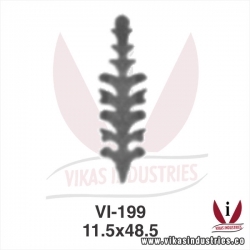 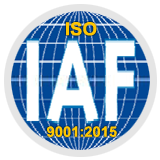 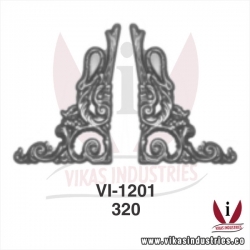 - ISO 9001:2015 Certified Co.
For Vikas Industries, Quality has always remained first priority within our organization and is never compromised on under any circumstances. 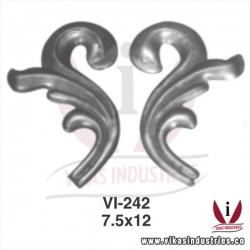 Wrought Iron Products & parts checks are incorporated at all the levels, right from the stage of the purchase of raw materials, till the dispatch of the final goods for market sale. 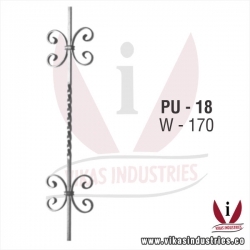 Our products range includes gate grill hardware parts, railing and fencing products, complete designed wrought iron panels, rail head tops, fancy and decorative gate-grill products & genuine spare parts etc. 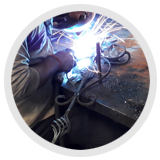 Our qualified engineers & workers are committed to provide the highest level of wrought iron steel products. 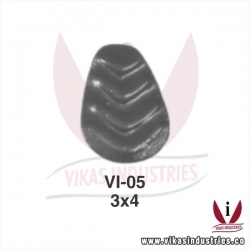 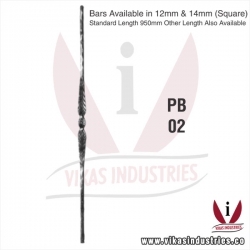 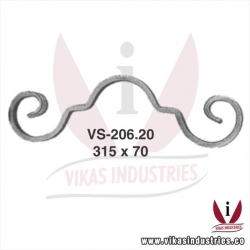 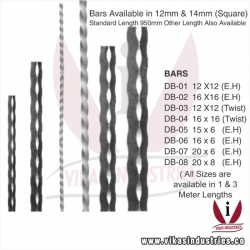 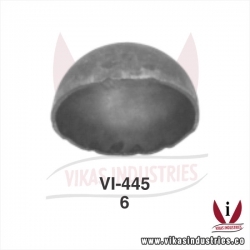 Today Research & development is become an important aspect in wrought iron parts industry and it is also a prime part at Vikas Industries. 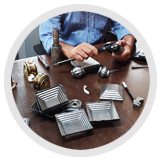 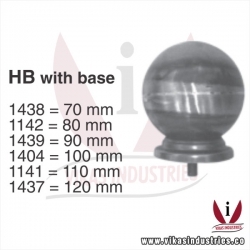 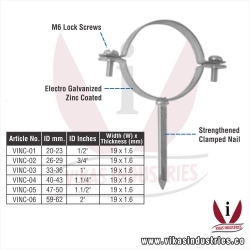 We follow new methods & quality system which leads to Continuous improvement in our existing ornamental iron hardware and wrought iron parts & hardware manufacturing system. 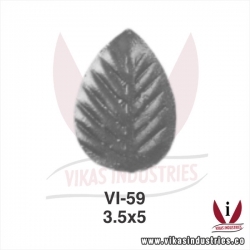 Vikas Industries have a special export market base in Europe, Middle East and Asia. 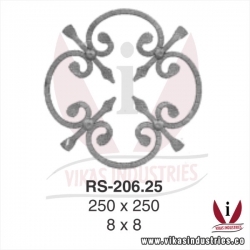 We also export our wrought iron products to many countries like USA, Canada, United Kingdom, Australia, Africa, UAE, Bangladesh, Sri Lanka and Nepal. 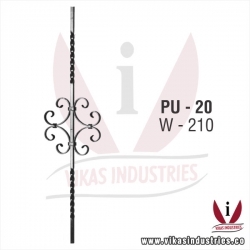 Client Satisfaction is our prime goal and to achieve this we offer premium quality range of decorative designed steel Fencing and Railing Parts. 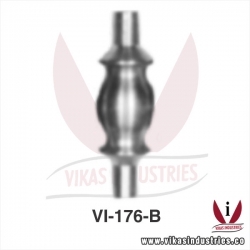 We have acquired a huge clientele not only in India but also in International Market.